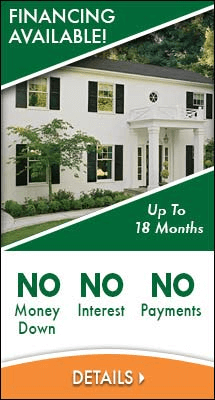 If you’re looking for beautiful, high-performing, energy-saving windows and doors constructed to last for a lifetime, look no further than Renewal by Andersen of Northeast PA. We continue the Renewal difference, a tradition of exceeding expectations that started back in 1903 with Andersen Windows. When Andersen launched the Renewal by Andersen® division, they were determined to be the best. With a unique approach to design, quality, energy and material technology combined with time-tested craftsmanship, Renewal by Andersen has single-handedly redefined the industry. Here’s what makes us different. Product. Renewal by Andersen is the only company selling Fibrex®-based products, a unique composite material that gives you the ideal combination of performance, beauty and quality. Service. Renewal by Andersen windows are designed to fit the unique needs of the consumer. Each is custom-designed and manufactured to provide function and beautifully enhance the aesthetics of your home. Quality. Renewal by Andersen strives for quality, starting with the raw materials we use all the way to the final installation. From those who make the windows in our factory to those who sell and install them, our team members have a passion for doing things right the first time. Commitment. Renewal by Andersen is committed to delivering for our customers. We take care of each client from initial call to consultation, measuring, installation and after-sale service, if needed. Our commitment is further demonstrated with a comprehensive warranty package. Quite simply, we are here to satisfy our customers. Every job matters, because your home is where everything happens. We’re proud to be part of enhancing your home. Renewal by Andersen is the perfect choice for homeowners desiring a superior, start-to-finish replacement experience. It’s a choice you’ll be glad you made every time you look out the window. Call (610) 355-4055 today to schedule a FREE in-home consultation for windows and replacement doors in Allentown and surrounding communities!